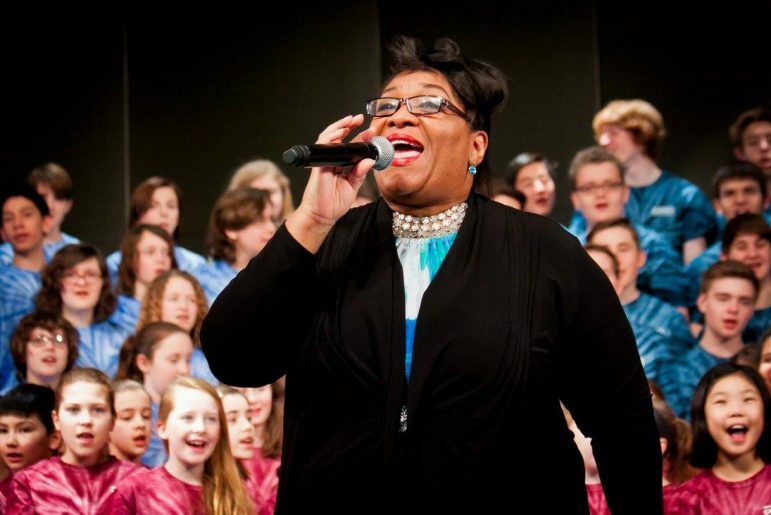 National recording artist and motivational singer, Jearlyn Steele, a member of the successful singing group “The Steeles” and a frequent vocalist on public television’s A Prairie Home Companion, will deliver the keynote speech at the third annual ARTS-US Autumn Gala and Fundraiser, Thursday, October 6, 2016, from 5:30-8 pm at Buenger Conference Center on the Concordia University-St. Paul campus. Steele, an ARTS-US supporter whose children were enrolled in the initial ARTS-US programs, will be welcomed by the evening’s emcee, Glorious L. Martin, a local artist who participated in ARTS-US as a youth staff member and spoken word artist. This year’s theme, Sankofa: Looking Back to Move Forward, will recognize alumni and youth who have supported and/or participated in ARTS-US programming, and who embrace the arts as an essential part of the healthy development of our youth, specifically those who are of African descent. This year, ARTS-US will honor a Legacy Artist as well as an Emerging Artist. mmunity than to pay tribute to those who embrace the arts as an essential part of our lives,” says Ramsey County Commissioner, Toni Carter, 2016 gala chairperson and co-founder of ARTS-US. The evening will include a reception and networking at 5:30 pm, a silent auction, buffet dinner, and performances featuring dance and the performing arts by current ARTS-US youth participants, as well as alumni. Tickets for the gala are $50 for each adult, and $15 per child. There is no charge for 2015-2016 youth program participants, but RSVP is required. The deadline to purchase tickets is September 29. You can reserve your tickets three ways for the ARTS-US gala: visit our website at www.arts-us.org, call 651-528-6871, or visit our office at us at Dunning Field Recreation Center, 1221 Marshall Ave., St. Paul, between Concordia University and Central High School. This information was provided by ARTS-US, www.arts-us.org.